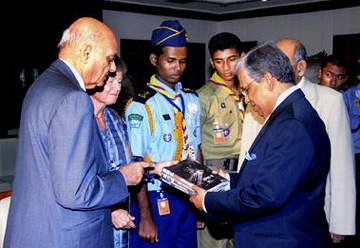 14th October 2008, Dr Fakhrudin Ahmed, Honorable Chief Adviser, Government of the People's Republic of Bangledesh, received Madanjeet Singh UNESCO Goodwill Ambassador, SAF founder and representatives of the Scouts from SAARC countries attending the 6th SAF Scout Friendship camp in Mouchak Bangladesh. Dr Fakhrudin Ahmed, Honorable Chief Adviser, Government of the People's Republic of Bangledesh, is presented some SAF publications by Madanjeet Singh UNESCO Goodwill Ambassador, SAF founder. Honourable Secretaries of the SAF Chapters, Greetings! We are pleased to inform you that the 6th SAF Scout Friendship Camp will be held from 12th - 18th October 2008 in National Scout Training Centre, Mouchak, Bangladesh. The aim of the camp is to promote and strengthen regional peace, solidarity and cooperation among the young people of South Asia by providing them the opportunity to live together and engage in various activities fostering friendship and mutual understanding. This year's theme is ‘Scouting for Peace and Friendship’. As of today, we have received the following participants from each South Asian country. Furthermore, we have also attached the programme for your information. Please note that the Opening Ceremony will be at 1030 hrs on 12th October 2008 and Dr. Fakhruddin Ahmed, Hon’ble Chief Adviser, Government of the People’s Republic of Bangladesh will be present. 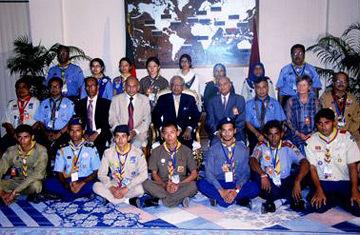 H. E. the President of the People’s Republic of Bangladesh and Chief Scout Prof. Dr. Iajuddin Ahmed will be present at 11:30 am on 16th October 2008 in the Youth Parliament Programme. Closing Ceremony will be at 1430 hrs on 18th October 2008. 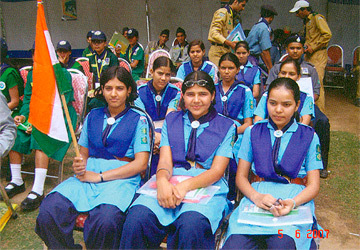 SAARC countries have been hosting and organizing SAF scout friendship camps since 2002 in association with the South Asia Foundation. The broad objective of such gathering of youth has been the enhancement of solidarity, friendship and cultural exchange through scouting. 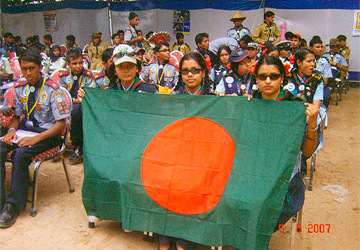 Bangladesh Scouts takes pride in hosting the 6th SAF Scout Friendship Camp from 12-18 October 2008 at the National Training Centre, Mouchak, Gazipur (47 km from capital Dhaka) with the theme "Scouting for peace and Frienship". This international event is open to only Rover Scouts (17-26 years). 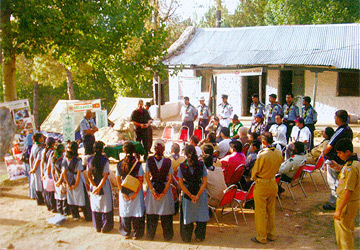 The 6th SAF Scout Friendship Camp at Mouchak, designed to provide scope for adventure and fellowship for the Rovers, includes among other activities six challenges. 1. Presentation of Country Profile: In this programme two participants from each country will get on opportunity to speak in English about their own country (geography, economy, history, culture, famous persons etc.) for five minutes. Multimedia Projector, CD/DVD player will be available for projection if needed. 2. Cultural Programme and Display: Participants will get opportunity to show their own culture, tradition, history, dress etc. through music, dance, acting. Participants will carry required dresses, music or display items. 3. Friendship: Special cards will be provided to each country to make friendship with the participants of other countries. On the sixth day of the camp final round of friendship challenge will be organized. For this purpose participants are allowed to exchange waggle, scarf, badge, coat pin, currency and the like. 4 Fair and Exhibition: The main objective of this fair is to depict the tradition, culture and history of each SAARC country. Stalls for each country will be provided where scouting materials, traditional dress, local dry food, daily commodities may be bought, exhibited and sold. 5. Grand Camp Fire and International Night: Participants will get opportunity to present their items at the Grand Camp Fire. Chorus song, dance, drama etc. can be presented. To make the function attractive each unit/contingent is requested to carry proper costume, music, instrument etc. Selected items will be presented in the grand camp fire and international night. 6. Youth Forum: Except from the host country, all other seven member countries will send up to three participants to take part in the Youth Forum. These 21 foreign participants along with another 21 from Bangladesh will form the Youth Forum. The participants will be involved in to group discussion to finalize the recommendations and the Youth Forum Declaration. The theme of this SAF Friendship Camp Youth Forum is "Youth Leadership for Sustainable Development". The participants of the Youth Forum will get the understanding on leadership skills, sustainable development and the major challenges faced by the South Asian countries in the areas of education, health and environment. The rest of the participants of the youth forum wil also be exposed to several sessions on the theme and subject areas of the forum. These sessions will provide valuable insight to the participants and prepare them to contribute their thoughts during the open discussion session for formulating the Youth Forum Declaration. The final session of the Youth Forum will be conducted as Youth Parliament. 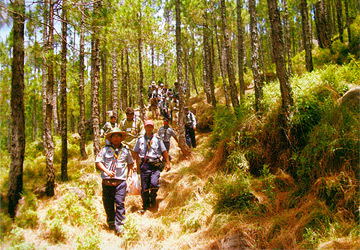 a) Discovery - 01 Hike: Rover Scouts will enjoy the scenic beauty of Bhawal National Park through hike. They wil get opportunity for swimming, fishing, cycling, climbing, backwoodsman cooking etc. Extra clothes and swimming costume will be helpful for the participants. b) Discovery - 02 Millennium Development Goal: Participants shall take part in Community Development (CD) work in a nearby village to understand the life of the rural people and discover ways and means of improving their life. c) Discovery - 03 Cultural Programme: After CD activities, participants will present selected cultural programme and enjoy the local programme performed by the villagers. 8. Sight Seeing: Visiting theme park fantasy Kingdom, Water Kingdom, Heritage Park and other places of historical interet would be included in the sight seeing programme. Participants will get opportunity to enjoy exciting rides. Every participant is requested to bring his/her swimming costume for water activity. 9) Opening and Closing Ceremony: In the colourful opening and closing ceremony selected cultural programme and display will be arranged. Participants will enjoy the opening and closing ceremony much. Things to Bring: All participants will be accommodated in tents. Participants are requested to bring Scout uniform, NSO Flag, National Flag, a CD of National anthem, sleeping bags, blanket, personal toiletries, shorts, personal medecine, torch or flashlight, light warm clothes and other necessary belongings.